1st-place finisher Jimmy Pendarvis's final record. Yup...he didn't lose a single match through the entire tournament. Two of those ties were IDs, by the way. 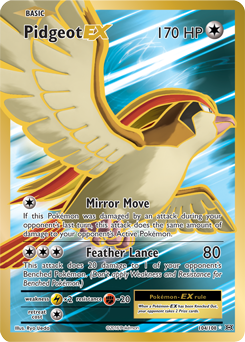 This is likely one of the most successful tournament runs in the history of the Pokemon TCG. The amount of damage Bisharp STS deals to Steel-weak Pokemon with a successful Retaliate attack. That's a KO on Xerneas BRT, Xerneas STS, and Xerneas BREAK, and a healthy chunk of damage to both M Gardevoirs - undoubtedly why Bisharp was used in Noah Sawyer's T-32nd-place Yveltal list, given the expected popularity of Rainbow Road and the Gardevoirs at Fort Wayne. 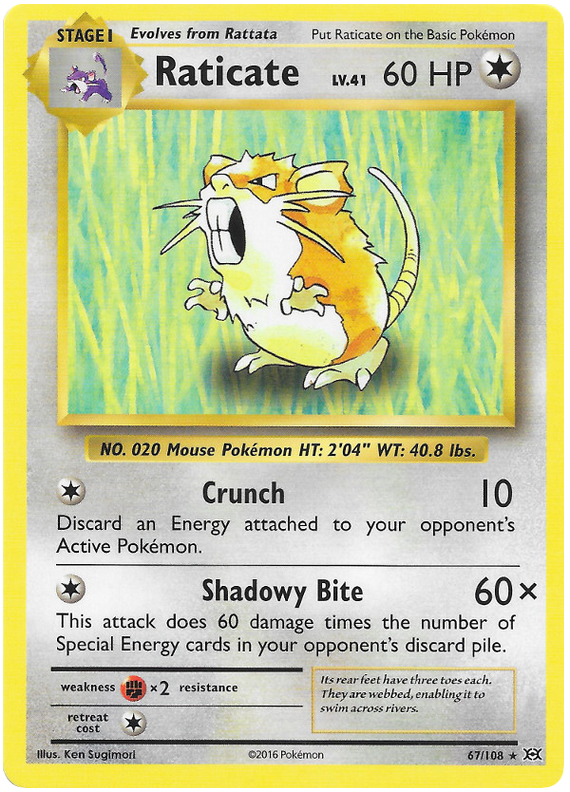 180 is also the amount of damage Raticate EVO inflicts on any enemy, as long as the opponent has 3 Special Energy in the discard. Travis Nunlist teched Raticate into his M Scizor list, since M Scizor is a deck that likes to discard opponent's Energy but lacks a heavy attacker. 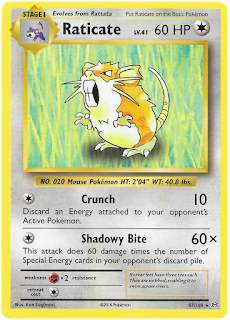 Raticate gave Nunlist an opportunity to swing for big attacks after spending the early game on energy disruption. Maybe these additions will see success going forward. All of the rogues performed well, netting at least 40 Championship Points each. Justin Bokhari's 15th-place Greninja BREAK deck included 1 copy of Talonflame. That's right, just 1. Presumably there were 3 Froakies, so that's only a 25% chance of a Talonflame start. Maybe the reasoning was that there's no longer a 43% chance of having 4 dead cards (as with 3 Froakie-4 Talonflame), just a 75% chance of 1 dead card? Thanks to your sharing,This type of message always inspiring and I prefer to read quality content.I'm thankful if you can upload more posts later. I wish you best things in life. thank you a ton for sharing your knowledge! I decided to add your blog to my bookmarks so I can return to it at a later date.